All of our websites are secured by industry-leading EV-SSL digital certificates. An Extended Validation SSL Certificate offers the highest level of SSL encryption available to protect your sensitive data and to ensure that you are using a website you can trust. 1. Look for https: Normally, when browsing the web, the URLs (web page addresses) begin with the letters "http". However, over a secure connection the address displayed should begin with "https" - note the "s" at the end. 2. Check for the "Lock" icon and/or green bar: There is a de facto standard among web browsers to display a "lock" icon somewhere in the window of the browser (NOT in the web page display area) and a green bar or text, with the exception of Firefox, which only uses the green bar. Right clicking on the company name in the green bar will give you the SSL verification of our secure connection. Ensuring you are doing business with RWGUSA.com at the highest level of SSL encryption. RWGUSA.com currently accepts many secure methods of payment. We have partnered with trusted payment processing companies to make certain your payment process is as simple and secure as possible. Payment security and fraud-protection is extremely important to us and we go to great lengths to ensure your payments and payment information is secure. EV-SSL certificates installed on our websites. Hand-screening of every order that is placed in our system for fraud. Phone and document verification for suspected fraud orders. 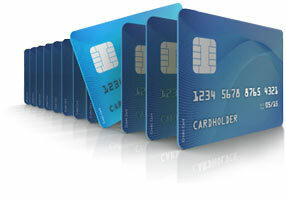 Frequent PCI compliance and scanning. We go well beyond the industry standards to protect your information. Don’t be surprised if you receive a friendly call from us to verify your order! Backed by Wells Fargo Bank, N.A. Wells Fargo Bank provides us with error-free, real-time processing in United States dollars through their secure and established networks. Payments on your statement will be listed as "RightWay Gate, Inc"
Time to process payment: Instant. Time to process payment: Instant for Instant Transfer. 5-10 business days for eCheck. To enquire about additional payment methods, please contact a Sales Representative.